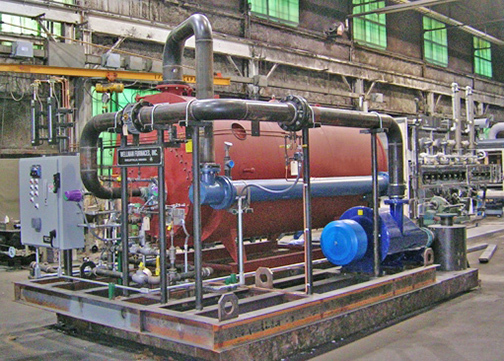 Wellman Furnaces, Inc. offers a complete line of Exothermic Gas Generators for rich and lean operation. Standard sizes range from 750 SCFH to 30,000 SCFH. Refrigerated Gas Coolers can be provided to reduce the product gas dew point to the 40°F to 50°F range. 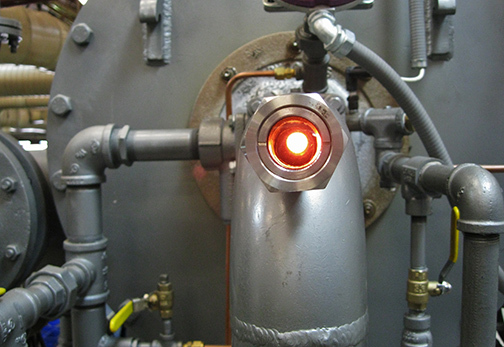 Atmosphere Gas Analysis Panels are available to monitor the exothermic gas composition and control an optional trim valve in the burner fuel gas line to maintain the desired CO analysis. Wellman Furnaces Exothermic Gas and Steam Co-Generators give you the process atmosphere gas you need with the added benefit of Free Steam. 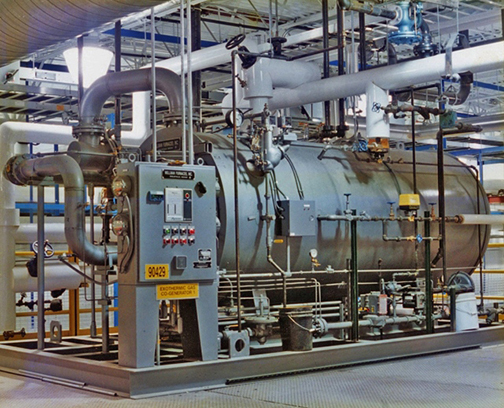 These units are available in sizes from 4,000 to 100,000 SCFH of exothermic gas, producing 390 to 9,780 lb/hr of steam. Major savings in both fuel and cooling water can be realized by combining your exothermic gas generator and steam boiler into a single unit. Paybacks range from six months to two years–Returning Your Initial Investment! Wellman Furnaces also offers a variety of Atmosphere Flow Panels and Gas Analysis Equipment for use in distributing, monitoring and controlling the various atmosphere gases that are used in your process.